RWKrafts: Play Date Cafe #178 with CAS-ual Friday Stamps!! Have fun with Hot Pink, Shadow, and Lightning Yellow! You likey? 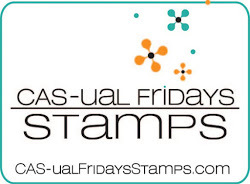 To add to this beyond fun color story, we have an amazing sponsor and prize this week from CAS-ual Fridays Stamps!! 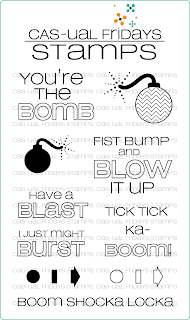 I received this stamp set "Ka-Boom" to play with. It's pretty fitting because I'll blow up a fist bump any day of the week. I'll also be entering this tag into the current Casual Fridays Challenge to add glitter. 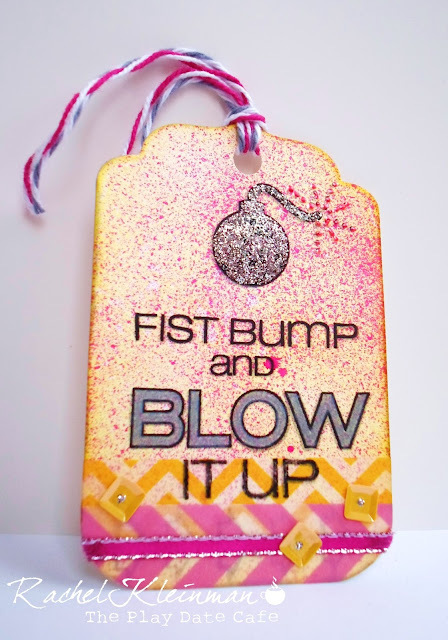 I used some partial die-cutting to make the tag shape, distressed it in yellow, and spray misted in hot pink. 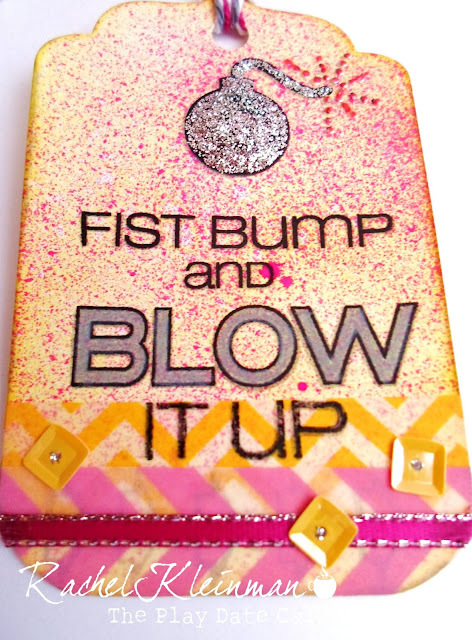 I added some washi tape, ribbon, then stamped, stickled, sequined and twined. materials: CAS-ual Fridays Stamps "Ka-Boom", Distress Ink "Mustard Seed", Dylusions Spray Ink "Bubble Gum Pink", StazOn Ink "Jet Black", Prismacolor Pencil in grey, yellow chevron washi from Freckled Fawn, pink arrow washi from Recollections, Stickles "Silver", pink ribbon, sequins, The Twinery "Stone" and We R Memory Keepers twine "Pink". 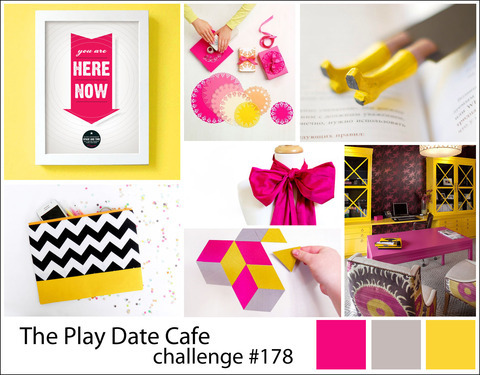 Go play with these fun bright colors at the Play Date Cafe! 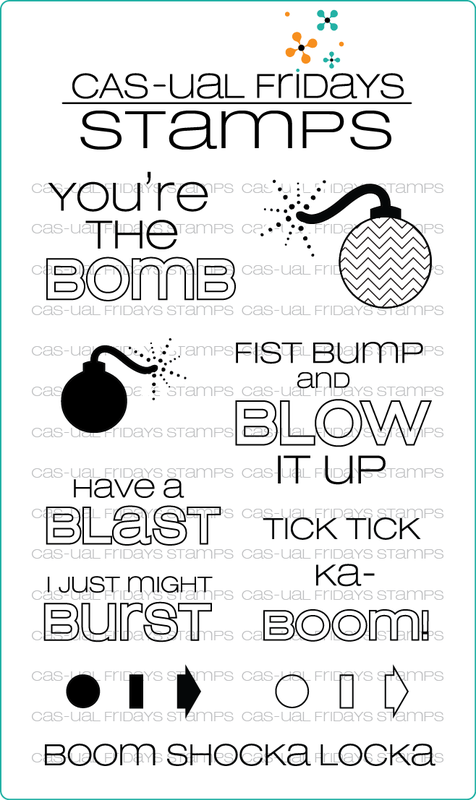 The winner gets a prize from CAS-ual Fridays Stamps!! Lovely card Rachel. I like the misting too. 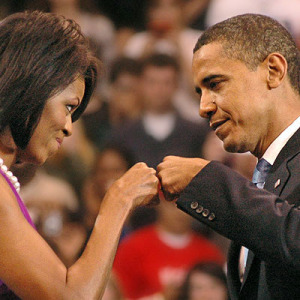 I fist bump with my students all the time! Love this! BOOOOOOM! This blows me away, no pun intended. You hit the mark with this one for sure! Such a pretty tag! Thanks for the inspiration!